Lake Saiful Muluk is the most visited tourist spot in Pakistan, located in Naran valley some 230 Km from Islamabad & 20 km from Kaghan. Lake Saiful Muluk Naran valley enjoy cult like status admired by tourist all across Pakistan. 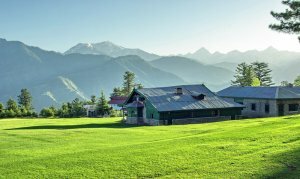 Naran valley is only accessible during summers. Due to many exciting locations like Lake Saiful Malook, Lalazar, Batakundi, Babusar top and Lulu Sar lake Naran is considered to be a center point. Kunhar river flows in the center of the city and is the product of melting Glaciers. Naran kaghan valley runs parallel to Neelum valley AJK and one track from Sharda Neelum Valley leads to Lalazar Naran. Enjoy & Plan summer vacations at its fullest by visiting Naran Kaghan with your family to enjoy natural beauty at its peak.